Nebraska Tourism Pitch: "There's Nothing To Do Here" - Joe.My.God. 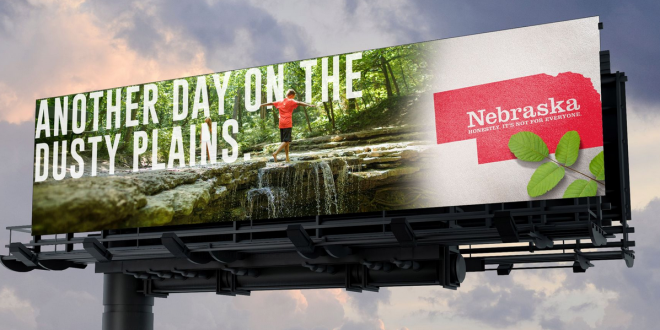 Nebraska’s new tourism marketing campaign concedes that the state is a bit boring, yet it hopes to lure travelers by highlighting that you can escape noisy cities and create your own fun. “Nebraska Nice” is out. “Honestly, it’s not for everyone” is the new tagline in ads. The new ad pitch, which leans on self-deprecating humor, was developed by a Colorado-based advertising agency, Vladimir Jones, after testing with out-of-staters likely to visit Nebraska.